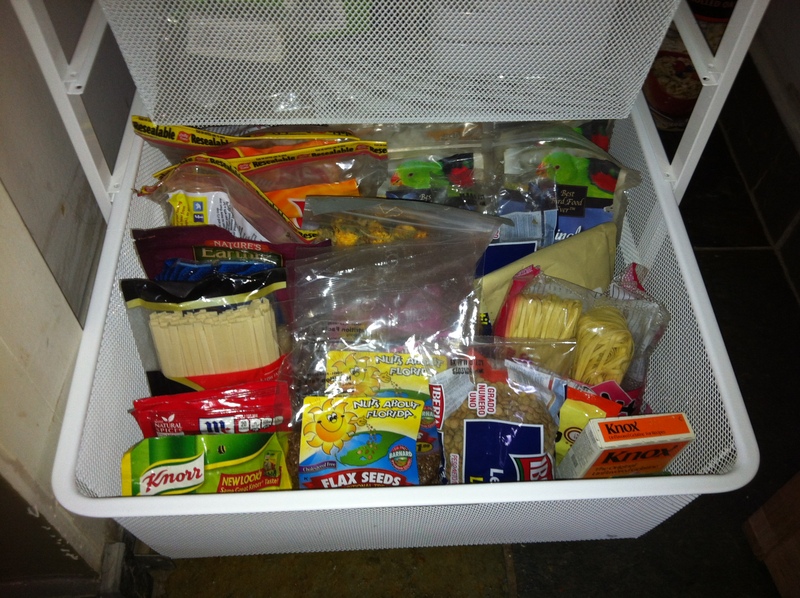 Employing a sliding drawer in my pantry helped organize envelope-type food packages. Thinking “through” your space is crucial when you’re reorganizing your home. It’s all well and good to take everything out, clean the space and the stuff and then put it back. But it isn’t really benefitting you as much as it could. My pantry for example. 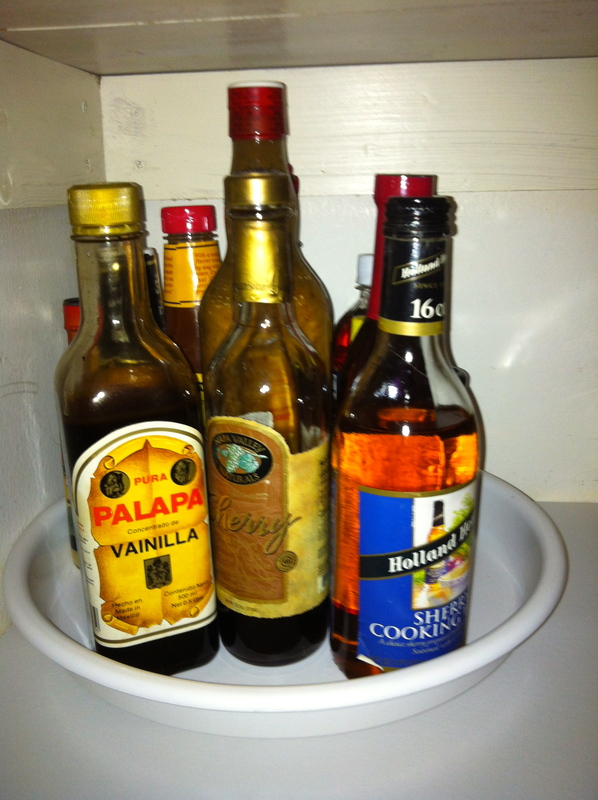 This revolving turntable works nice in the pantry for bottles. It might work nice in the fridge, too. My pantry wasn’t a pantry until I turned it into one. It was a coat closet. I didn’t need a coat closet. I wanted a pantry. So I had a friend put in shelving. He didn’t do a real bang up job, but I got the shelves and that’s what matters. I no longer keep a lot of canned goods and the like in the kitchen which gives me a bit more elbow room. This is important when you consider my kitchen is the size of a Boeing 767-200 galley. It’s pretty small. But considering the fact that flight crews can feed 180 people out of a space that big, you can do pretty well if you know what you’re doing. If you reconsider what a space is supposed to “do,” you can arrange it to make it work better for you. 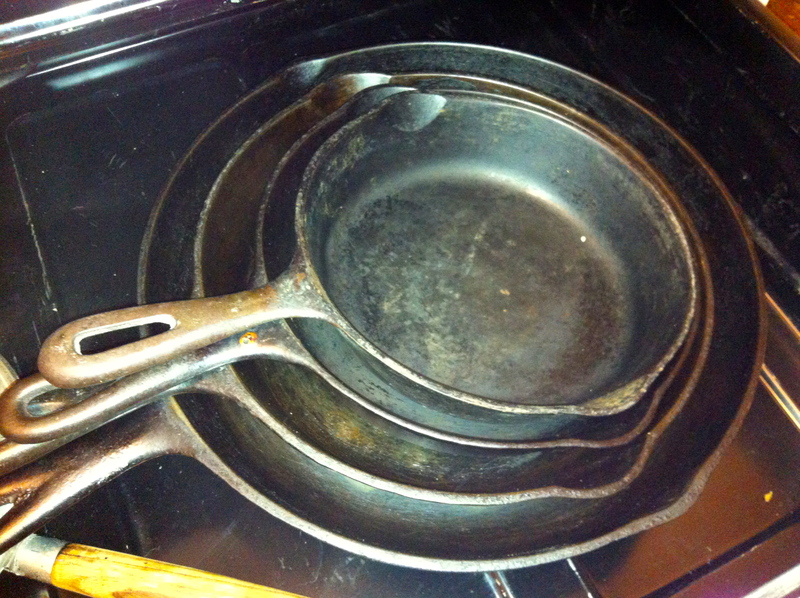 Case in point: My cast iron cookware. These used to live in my oven. When I had to use my oven, I’d have to pull these out. Then I’d put them back in when I was done. That was a lot of heavy lifting and screwing around. Why did they live there? Because I didn’t think I had another place to put them. They weren’t in the lower oven drawer because I had my pot lids there. Why were my pot lids there? Because I didn’t think I had another place to put them. 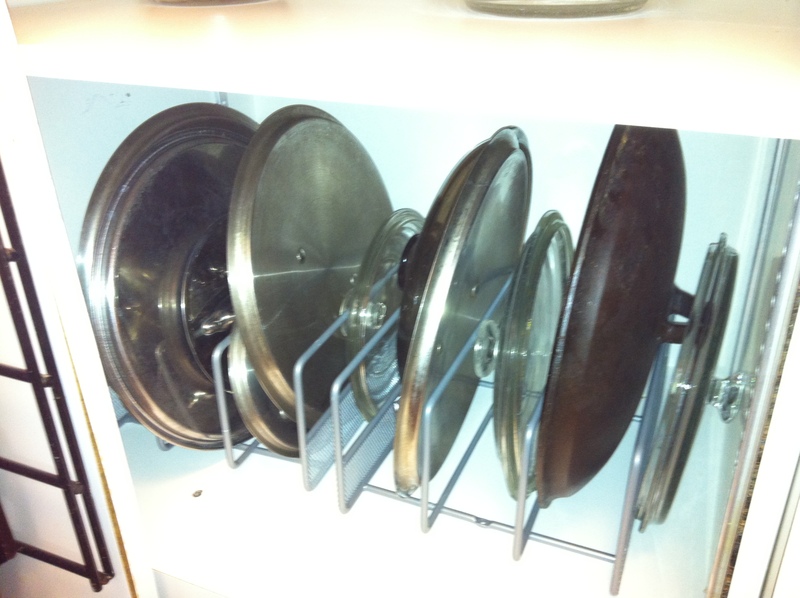 It wasn’t until I completely cleaned out another cabinet area that I figured out that I could store the pot lids vertically in there and the cast iron stuff could go in the lower drawer. By rethinking the space I had to work with, I was able to make my kitchen work for me and not the other way around. So take a minute and look around. Think about thinking differently. A friend of mine kept her coffee maker in her bedroom. Why? Because that’s where she drank her coffee in the morning. She didn’t have to get up, go out to the kitchen and get the coffee. She just walked two steps and snapped it on. It brewed her coffee while she was in the shower. She’d then get out of the shower and her coffee was ready to go right there. Made perfect sense to me. 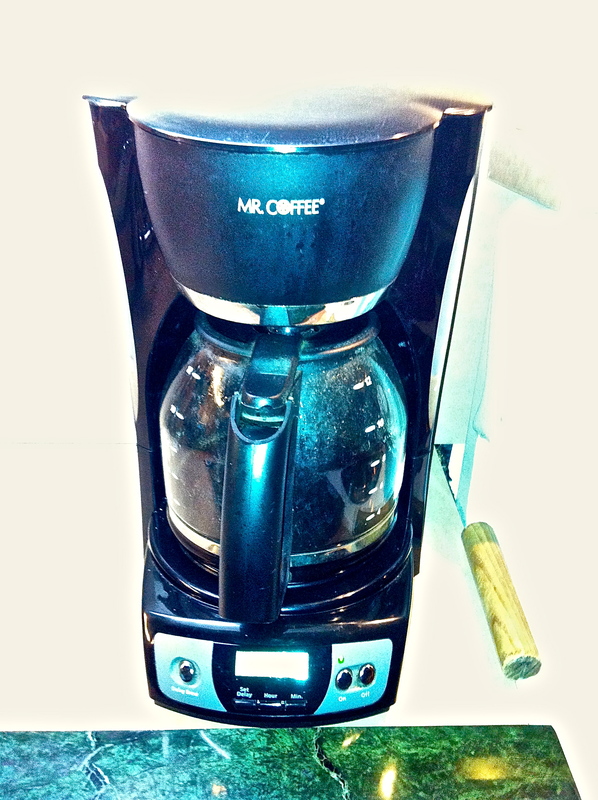 You see coffee makers in hotel rooms all the time. What difference does it make if you do this at home? Will I be doing this? I don’t know. But it’s a thought.